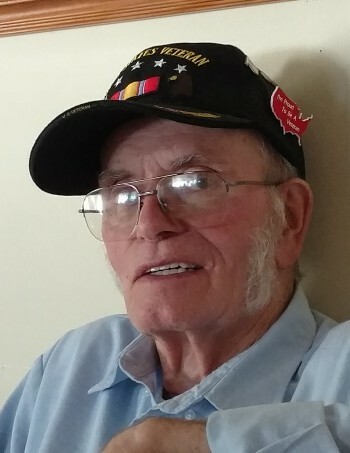 Meryle Raymond Vermillion, 82, of Waynesfield passed away at 1:00 a.m. Sunday April 14, 2019 at Lima Memorial Health System, Lima. He was born in Hardin County on July 2, 1936 to Jesse & Edna (VanSki) Vermillion who preceded him in death. On December 10, 1958 he married Connie Dawson and she survives in Waynesfield. Survivors include 3 children Michael (Lisa) Vermillion of Wichita, KS, Bradley Vermillion of Eureka, CA, Cindy (Don) Kaufman of Waynesfield; 3 grandchildren Carl (Jessica) Kaufman of Lima, Jesse (Jackie) Vermillion, Alyssa Vermillion both of Fayetteville, AR; 5 great-grandchildren Sydney, Jackson, Kendrix, Tyson, Hudson and a sister Wanda Hamilton. He was preceded in death by 11 brothers and sisters Emmett, Floyd, Lloyd, Johnny, Ronnie, Mary, Lucille, Clyde, Jean, Donna and a Carol. Raymond retired from Nash Finch after 27 years of service. He was a member of the U.S. Army where he served from 1954-1957. He enjoyed fishing, hunting and woodworking. Funeral services will begin at 10:30 a.m. Friday, April 19, 2019 at Schlosser Funeral Home & Cremation Services, Wapakoneta with Rev. Kenny Rader officiating. Burial will follow at Willow Branch Cemetery, Waynesfield with military rites being performed by V.F.W. Post 8445. Friends may call from 2-4 and 6-8 p.m. Thursday at the funeral home.